All of these tables are 18” high. All of them are 1” thick with the exception of a couple of them which we have noted separately. Cherry with walnut bow tie accents. See something you like? Have questions? No problem. Our Vermont factory store staff is ready to assist you 7 days a week from 10:00AM to 6:00PM, to answer any questions you have about our Live Edge Slabs, Benches, and Tables. 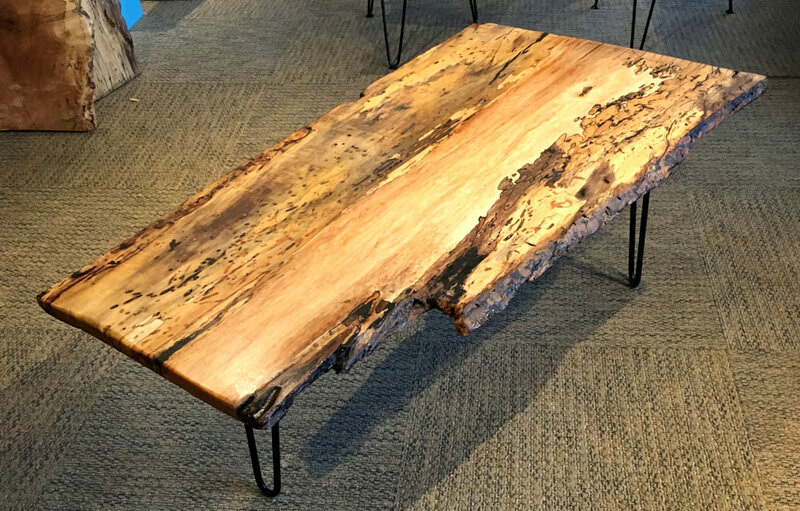 We are here to help you turn your Exotic Wood Slab design into reality, or find the perfect Bench or Table for your home or office. All items shown for sale on this website can be ordered by phone. Call us today and let us help. Cherry with walnut bow tie accents and filled knot. Spalted Maple-Unique Markings-legs made from wooden bends. 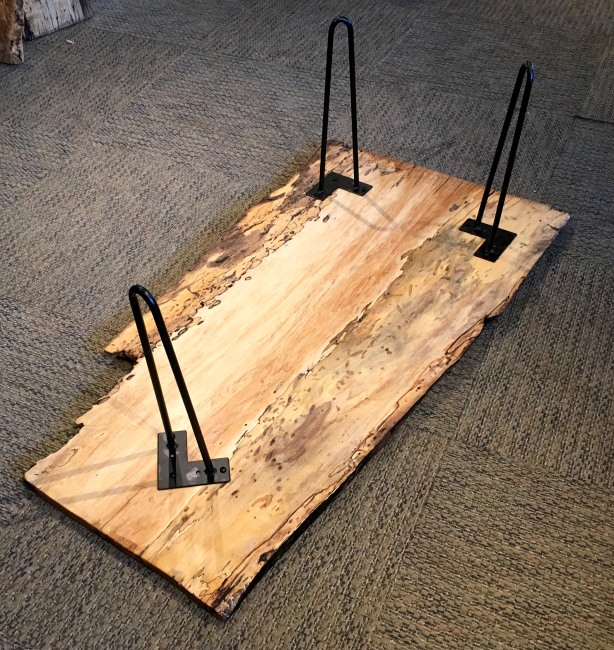 Spalted Maple with metal hairpin legs. View of metal legs for #5690. Wooden legs can be made for this item for an extra charge. Maple with Burl, Birds Eye and side Blistering. Butternut dining table (bench sold separately). Wooden legs can be made for these items for an extra charge.